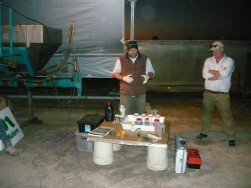 The Bundaberg and Isis Next Gen Reps held yet another successful meeting last night. The meeting started at local farmer, Tony Chapman’s property where the group toured his farm and viewed his minimum till implements and compost mixer. Tony’s crop rotation and farming practices were also discussed. The 26 strong group also took the opportunity to look at Tony’s field peas which have been planted directly after his soybeans were harvested. 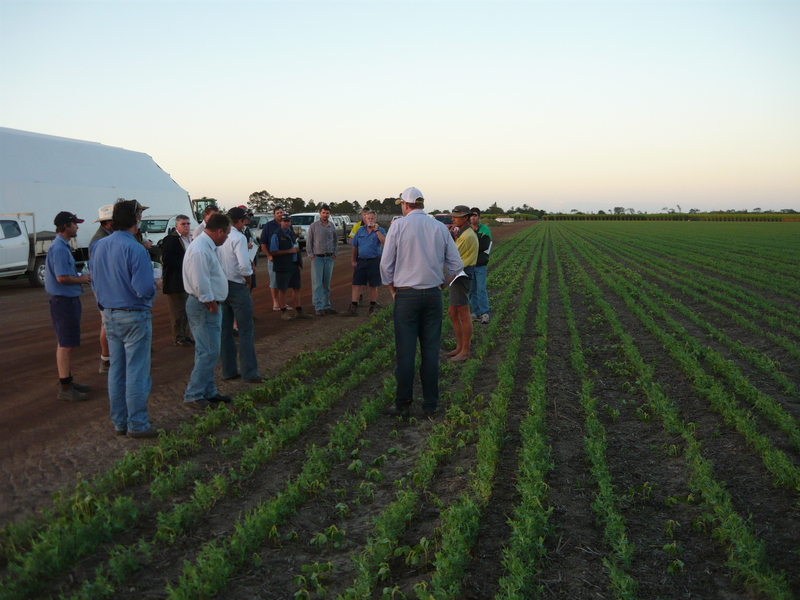 Later, once the sun went down, the group ventured out into the field peas with UV torches to inspect the spray droplet difference between nozzles and application volumes. The group also watched a demonstration by Nufarm, showing the importance of mixing procedures for chemicals, different spray patterns and droplet sizes with different nozzles, and we heard about the new Weedmaster Arco product. Gavin, Matt and Josh were pleased with the turnout and thank BGA Agriservices for supplying a much needed sausage sizzle and drinks, Nufarm for putting on the demonstration and to Tony Chapman for having the group at his farm.